E 3000 is a 60mm width frame system, dependable with proven reliability in projects throughout Europe that offers modern straight line profile design and security with a three point lock system. 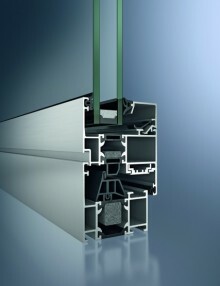 Ε45 belongs to the new generation of thermal insulated opening systems. With the primary concern to conserve energy in building structures, E45 is designed to meet a great variety of functional and aesthetic requirements. 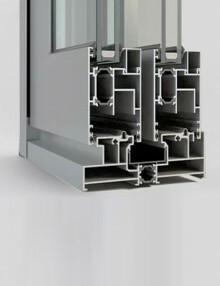 Whether inward or outward-opening windows – Schüco Window AWS 60 and Schüco Window AWS 50 offer aluminium window solutions for a wide variety of requirements that are also suitable for international markets with flexible thermal insulation levels, minimal basic depths, narrow face widths and efficient fabrication and assembly properties. 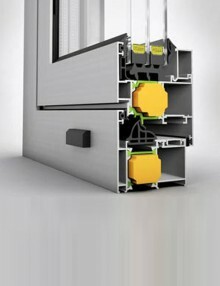 Amongst other factors, this is based on a portfolio that is unrivalled in its breadth and is offered by the Schüco Window AWS modular system in these basic depths. 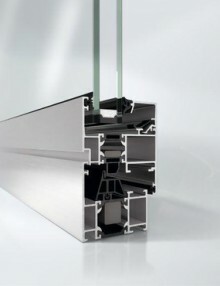 It allows, for example, a Uf value of up to 1.7 W/(m²K) to be achieved in the basic depth of 60 mm with optimised insulating bars and a centre gasket.